The reasonable man adapts himself to the world. The unreasonable one persists in trying to adapt the world to himself. Therefore all progress depends on the unreasonable man. For some of you, this may be the first taste of formal study in the area of sustainable development. It is a topic that gets some attention in courses on Economics and Ethics but, typically, this exposure is fleeting. However, the fact sustainable development figures at all in these two subjects gives a strong indication of the disciplinary foundation of sustainable development. It is, indeed, about economics and about ethics. For many people, these are strange bedfellows, not least because the history of economically successful business is littered with examples of unethical practice! The increasing prominence of sustainable development in recent times, in terms of the burgeoning literature on the subject and the number of international conferences that focus upon it (particularly following the 1992 Earth Summit in Rio de Janeiro), suggests that this particular aspect of capitalist development has a short-term future. Indeed, as the title of this course suggests, to develop along sustainable lines can assist business in gaining competitive advantage. Sustainable development is about a whole lot more than economics and ethics, of course. It’s about the protection of natural capital, the promotion of public health, the preservation of national security, and the quality of human development more generally. None of these things are mutually exclusive of one another nor, indeed, of economics or ethics. Needless to say, it is simply not possible to cover every aspect of sustainable development in intricate detail during this course. However, while the focus is unapologetically economic in terms of its theoretical underpinnings, the course will provide ample opportunity to discuss non-economic dimensions of sustainable development and their impact on society. The main aim of this unit is to define, clearly, the concept of sustainable development in ecological economic terms. As Herman Daly (1996, p. 1) points out, ‘sustainable development is a term that everyone likes, but nobody is sure of what it means’. Indeed, the terms ‘sustainable economic growth’ and ‘sustainable development’ are commonly understood to be one and the same thing when, in actual fact, they have quite different meanings, and operate within two contrasting paradigms; the first within neo-classical (mainstream) economics, and the second within the science of ecological economics. Activity: How disposable is your planet? Before you begin any detailed study of the theoretical aspects of sustainable development, you might benefit from a cursory perusal of a BBC website that houses a six-part series dedicated to sustainable development, entitled Disposable Planet? This should give you a feel for the subject. In considering the six dimensions (population, food, cities, waste, tourism and energy) highlighted by the BBC in the Disposable Planet, is there any aspect that particularly surprised you? Alternatively, was there anything that did not come as a surprise to you because of your first hand experience of the issue? Consider contributing a blog post on this topic. Activity: How many planets would we need if everyone lived like you? Have a go at the quiz that measures your own personal ecological footprint on the planet. Share this information with your fellow students, and contemplate lifestyle changes that might serve to reduce your footprint. 1.1: What is ecological economics? Ecological economics, to the uninitiated, may sound like some sort of ‘green evangelism’, but nothing could be further from the truth. There is a burgeoning literature in this emerging field, there is a robust scientific community with a professional society that continues to expand and, perhaps most importantly, there are signs that the ecological economic inquiry is beginning to penetrate mainstream thinking in terms of policy relevant analysis. According to Robert Costanza, co-founder and past-president of the International Society for Ecological Economics, ‘ecological economics addresses the relationships between ecosystems and economic systems’ (Costanza 1989, p. 1). It is a trans-disciplinary field of study that seeks to extend and integrate the study of management of ‘nature’s household’ (ecology) with ‘humankind’s household’ (the macroeconomy). This integration has become necessary, say ecological economists, because conceptual and professional isolation has led economic and environmental policies to be mutually destructive rather than be reinforcing of one another (Lawn 2002, p. 3). Refer now to Reading 1.1 by Robert Costanza (1989), entitled ‘What is Ecological Economics?’ This article was published in the very first edition of the Ecological Economics journal of which Costanza is the founding editor. Costanza’s main theme is that to go along with the ‘technological optimists’ (sometimes referred to as ‘Cornucopians’; Cornucopia being the Ancient Greek symbol of abundance) amounts to an act of faith, and that ‘prudent pessimism’ is the more sensible route to take so long as one possible outcome of a commitment to technological optimism is disaster in the form of irreversible damage to ecosystems. In these circumstances, technological fixes may cease to be an option. Are you a technological optimist or a prudent pessimist? Is it possible to be both? Discuss this article and its key themes on the blog. There is an ongoing debate between the Cornucopians and the neo-Malthusians (or ‘catastrophists’). The debate originated in the 1960s, when commentators like Paul Ehrlich offered dire predictions that population growth was about to outstrip available natural resources. Those who subscribed to this view were tagged neo-Malthusians on the grounds their views echoed those of Thomas Robert Malthus, the first to observe, in the late eighteenth century, that humankind was capable of reproducing to the point where population would not be supported by its food supply. Cornucopians, on the other hand, place great faith in human ingenuity. They predict that technology and free markets will find substitutes for any resources that become limited in supply, circumventing the problem of scarcity. According to this view, there are no environmental limits on economic growth. These contending perspectives were delineated very clearly in the Club of Rome’s book Limits to Growth (authored by Donella Meadows and others in 1972) and its counter-thesis entitled Models of Doom: A Critique of the Limits to Growth (Cole et al 1973). In the three decades or so that have passed since the publication of these monographs, advances in biotechnology made it possible to feed more people than ever before, and evidence suggests that mineral resources are unlikely to be in short supply within the next hundred years (Hodges 1995). This has obviously provided the technological optimists with a great deal of ammunition! However, as Ayres (1993) has pointed out, the Cornucopian/neo-Malthusian debate is a distraction. Ayres’ key point is that the most important ‘scarcities’ (clean air, clean water, climatic stability, biological diversity, the absorption of waste by natural systems, etc) lie outside the market mechanism and outside the realm of plausible technological substitution. Putting it another way, limits to human activity exist because sinks for output are limited, not just sources of input (AtKisson 1999). — Myers, N. and Simon, J. (1994) Scarcity or Abundance: A Debate on the Environment, WW Norton, New York, p. 65. Take a look at this YouTube video clip from a 1988 interview with leading Cornucopian, Julian Simon. You can watch the full interview should you be interested (this is the first of six parts). The interview is part of the PRC Forum series on The Idea Channel. The essence of Simon’s argument is that natural resource prices have fallen throughout human history and they will continue to fall. For brief overviews of the contending perspectives on the Cornucopian position, read Reason vs Faith by Joseph Kellard and Cornucopians, Global Resources and Technology Fixes by Robert Cohen. What was the substance of the bet between Paul Erhlich and Julian Simon? What was the outcome? What might it have been better to bet on from the viewpoint of the loser? Share your views on this topic on the blog. Ecological economics attempts to integrate and synthesise many different disciplinary perspectives in pursuit of an ecologically and economically sustainable world. To this end, it goes beyond the conceptions one might normally have of a scientific discipline. Ecological economics is sometimes used interchangeably with environmental economics, as though the two terms were synonymous. This would likely make an ecological economist cringe given the rather narrow theoretical framework used by their neo-classical counterparts. To illustrate the point, cast your minds back to your introductory macroeconomics classes to the time you studied the circular flow of income and expenditure. The diagram below should assist. In this model, firms, using the labour and capital supplied by households, produce goods and services. Households receive an income for the supply of their labour and capital, and this income they spend on goods and services. Neo-classical economists freely concede that this harmonious model is a somewhat stylised version of reality, and a more elaborate model will include a government sector and an overseas sector. In this instance, it is acknowledged that part of household income will be saved, part will be taxed, and part will be used to consume imports; i.e. to buy other countries’ GDP. These leakages from the circular flow will, ceteris paribus, cause GDP to be lower than it might otherwise be. However, the system equilibrium is maintained when the leakages are ‘recycled’ as injections in the form of investment, government purchases, and exports. The ecological economist would not be satisfied with this more elaborate model, however, because the ceteris paribus methodology of the neo-classical economist ‘assumes away’ some pretty substantive issues. In particular, the circular flow model has two ‘blind spots’; there is no clue as to where the inputs (raw materials, energy) for the production process comes from, nor are we know where waste outputs are deposited. These ‘over-sights’ are not uncommon in mainstream economics. Indeed, the economy is implicitly treated as being quite autonomous of the physical world in which it operates. Paul Samuelson must take some of the credit for this, as it was he who first ‘assumed away’ the factor of production land in 1948, when he wrote the biggest selling economics text of all time, Economics: An Introductory Analysis (now in its 19th edition!) Before this, land was a euphemism for the environment and natural resources, but with the release of the Samuelson text, land was dropped from the production function and most texts since have defined output as Q = f (K, L), where K = capital and L= labour. Why did Samuelson do this? The reason, quite simply, is that he reasoned man-made capital and natural capital to be substitutable to the point that to treat them as separate entities would be superfluous. Herman Daly (1996) puts the case for the ecological economic view by calling for an expansion of the analytic vision to include the economy’s dependency on the environment. He argues that it should not be treated as a closed, isolated system, but a sub-system of the biosphere, receiving and transforming matter and energy, the biosphere serving as both source and a sink for the economy. Daly calls this one-way passage of matter and energy through the economic system ‘throughput’ (Daly 1996, p. 28). Nicholas Georgescu-Roegen (1971) traced the nature of throughput to its origin in the second law of thermodynamics, or the entropy law – the law of physics that Einstein thought the least likely to be overthrown. Georgescu-Roegen’s work shows that there not only exists a ‘materials balance’ between what enters and what leaves an economic process, but also an irreversible one-way change from available energy to unavailable energy (see Figure 1.2). 1.2: What is sustainable development? As it was pointed out earlier, the term ‘sustainable development’ is decidedly vague, and has become something of a catch all phrase to mean almost anything from recycling to reafforestation, to integrated policy for sustained economic growth to the use of environmentally-adjusted national income accounts. In an attempt to resolve this problem, Pearce et al (1989) collected together these various definitions with a view to settling on one interpretation of the term. Perhaps the most commonly used definition today is that put forward by the 1987 World Commission on Environment and Development (the Brundtland Commission) in its report Our Common Future; viz. ‘development that meets the needs of the present without compromising the ability of future generations to meet their economic needs’. Not that this has quelled the number of new interpretations! A list produced by Susan Murcott complements and updates the list of definitions developed by Pearce et al (1989). For an overview of the many milestones that have marked the journey toward sustainable development, take a look at this time line produced by the International Institute for Sustainable Development (IISD). Find out what you can about one of these events, and reflect on its relative importance to the sustainable development movement. Discuss your findings on the blog. 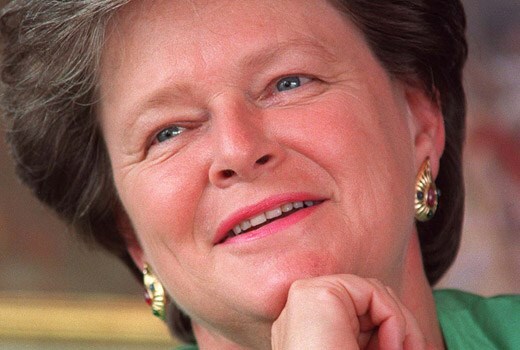 Lawn (2001) argues that the lack of a coherent theoretical core for the sustainable development concept is a legacy of the historical process that culminated in the Brundtland Report. ‘Overall, the general vagueness and lack of theoretical rigour and clarity of the SD [sustainable development] concept can be attributed to a number of related factors. Most of which essentially emerged from the limits-to-growth debate. First, as a recently conceived concept, SD was considerably influenced by the prevailing philosophical and conceptual research paradigms and assumptions of the time (e.g. continuous growth is a SD prerequisite). According to Lawn, an ecological economics definition of sustainable development requires that resources be allocated in such a way that they do not threaten the stability of the system as a whole, or any of its key elements. Within this paradigm, sustainable development recognises the economic value of ecosystem functions and services in terms of human welfare. Referring to Daly’s ‘ends-means spectrum’ as the theoretical foundation for a sustainable development concept (see Figure 1.4), Lawn stresses the importance of the interdependent relationship between sustainability and development pointing out, for example, that the moral issues of distributive justice (important aspects of human development) are unlikely to be realised if biophysical limits to growth are ignored. By the same token, disrespect for moral issues is not conducive to biophysical constraint (Lawn 2001, p. 26). ‘For this reason’, says Lawn, ‘a credible SD concept must be predicated on biophysical realities and moral concerns’ – the physical laws of thermodynamics and ecology providing the biophysical anchor, and concerns for posterity, intragenerational equities, sentient non-human beings, and respect for the continuation of the evolutionary process providing the conditions for the moral anchor (Lawn 2001, p. 26). Refer now to Reading 1.2 by Guiseppe Munda (1997), entitled ‘Environmental Economics, Ecological Economics and the Concept of Sustainable Development’. This article complements what you have just read on the theoretical foundation for sustainable development, and draws important distinctions between environmental economics and ecological economics. The prose can be a little heavy-going at times, so try not to let yourself get too bogged down. If you find the material on ‘post-normal science’ a little obtuse, for example, don’t worry too much as we’ll be covering this kind of thing a little later in the course. In particular, you need to make a note of the differences between ‘weak’ and ‘strong’ sustainability and the notion of the ‘coevolutionary paradigm’. Discuss these and related concepts with your classmates. 1.3: Learning from past mistakes? What caused ancient civilisations to collapse? Professor Jared Diamond, Pullitzer Prize winning author of Guns, Germs and Steel, and Collapse: How Societies Choose to Fail or Succeed asks why it was that Mycanaeum Greece collapsed, why the Western Roman Empire fell, why the Indus Valley civilisation of India imploded, and why Angkor Wat in Cambodia was abandoned. According to Diamond, we’re now realising from archaeology studies in the last decade or two, that these societies and others destroyed their resource base, and thereby destroyed themselves. 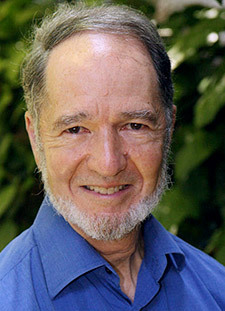 View Jared Diamond giving a TED talk (filmed in February 2003 and posted in October 2008) on why societies collapse. It runs for around 18 minutes. A link to the full transcript of the talk is also available at this site. Contribute to a blog discussion on this topic. What issue particularly caught your attention? Was there anything that Diamond said that you disagree with? The main objective of this introductory unit was to familiarise you with the theoretical underpinnings of ecological economics and its interpretation of the sustainable development concept. The strategy employed to achieve this objective was to describe what ecological economics was not. By illustrating the shortcomings of the neo-classical paradigm, explaining ecological economics becomes a question of filling in the gaps. The trans-disciplinary analytic vision of ecological economists is truly holistic and contrasts sharply with the mechanical, comparative statics approach of mainstream economists. Sustainable development; ecological economics; neoclassical economics; Cornucopians; neo-Malthusians; limits-to-growth theorem; natural capital; throughput, ends-means spectrum. AtKisson, A. (1999). Believing Cassandra: An Optimist Looks at a Pessimist’s World. White River Junction: Chelsea Green Publishing. Ayres, R. U. (1993). ‘Cowboys, cornucopians and long-run sustainability’. Ecological Economics, 8(3), pp. 189-207. Cole, H.S.D., Christopher, F., Marie, J., and Pavitt, K.L.R., eds. (1973). Models of Doom: A Critique of the Limits to Growth. New York: Universe Books. Costanza, R. (1989). ‘What is ecological economics?’. Ecological Economics, 1(1), pp. 1-7. Diamond, J. (2005). Collapse: How Societies Choose to Fail or Succeed, New York: Penguin. Hodges, C. A. (1995). ‘Mineral resources, environmental issues, and land use’. Science, 268(5215), pp. 1305-1312. Lawn, P. A. (2001). Toward Sustainable Development: An Ecological Economics Approach. Boca Raton: Lewis Publishers. Meadows, D. H., Meadows, D.L., Randers, J. and Behrens, W.W., (1972). The Limits to Growth: A Report for the Club of Rome’s Project on the Predicament of Mankind. New York: Universe Books. Pearce, D.W., Markandya, A., and Barbier, E.B. (1989). Blueprint for a Green Economy. London: Earthscan. World Commission on Environment and Development (the Brundtland Commission). (1987). Our Common Future. Oxford: Oxford University Press.